If you’re still not full after that entire banquet, perhaps you should make a few more naan breads, as this Indian sweet won’t fill you up, but it will end the meal very nicely. 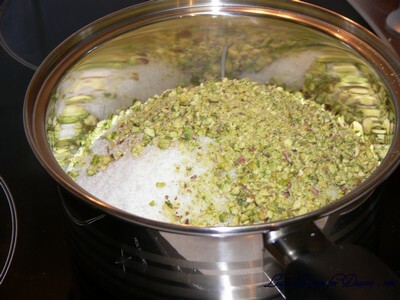 It is lovely and sweet with beautiful coconut and cardamom flavours with little chunks of pistachio. The sweetened condensed milk joins them all together and they are best eaten at room temperature, as they loose a bit of flavour straight from the fridge. 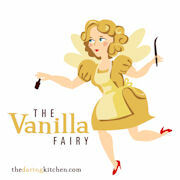 This recipe is from Food Safari, which I turned to for advice on desserts or sweets to make. I didn’t really see a huge difference in the mixture from mixing to heating for 10 minutes, but perhaps it did combine and roll a bit easier. 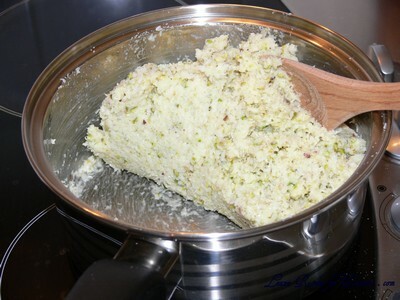 Mix 200g of the coconut and the remaining ingredients in a bowl. Heat a non-stick pan on low heat and add mixture to the pan. Stir over low heat until the mixture starts to dry and rolls easily into a ball. Remove from the heat. Cool for 5 to 10 minutes until cool enough to handle. Place the remaining coconut onto a plate. 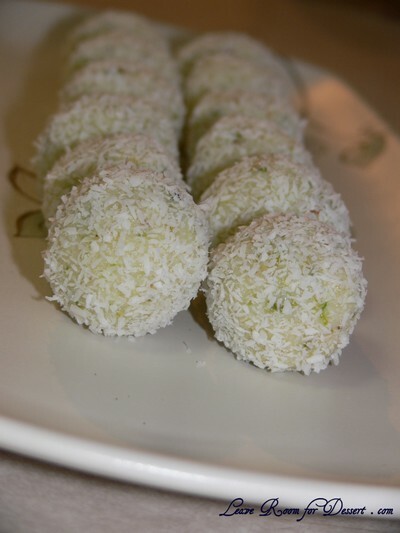 Using damp hands, roll the mixture into balls and then roll in coconut to coat. 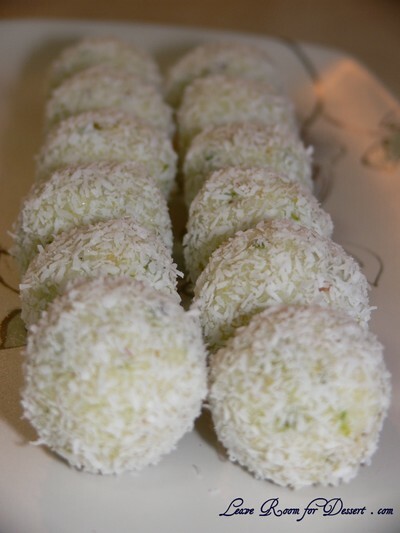 The coconut balls can be refrigerated for up to a week. 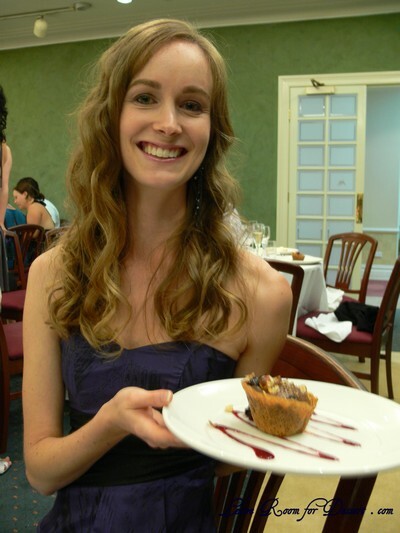 Filed under Cakes, Slices and Biscuits, Indian Banquet, Recipes, Snacks, Vegetarian. You can follow any responses to this entry through the RSS 2.0 feed. You can leave a response, or trackback from your own site. I’ve never made my own Indian sweets from scratch (I have used those packets though) so this is a real treat getting a from scratch recipe! Oh my god, what precious balls of ecstasy! coconut and cardamom flavours with little chunks of pistachio? Sounds like heaven! Pistachio and cardamon sounds like a great combination, and they look pretty rolled in coconut. They’d be perfect finger food for a party or a picnic. 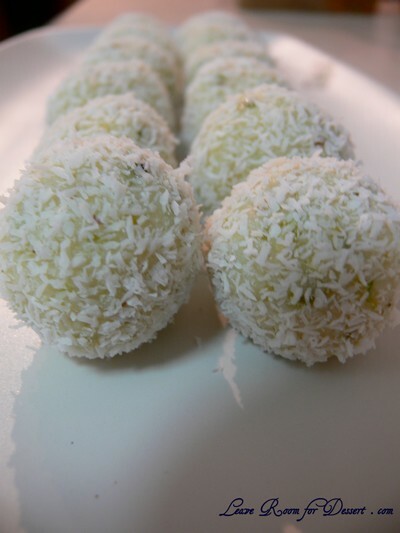 Oh wow….looks yummy…my favourite one…adding cardamom makes it more flavourful…. These look lovely. The different flavours sound so delicious. I think I need to try something like this, soon!